No. 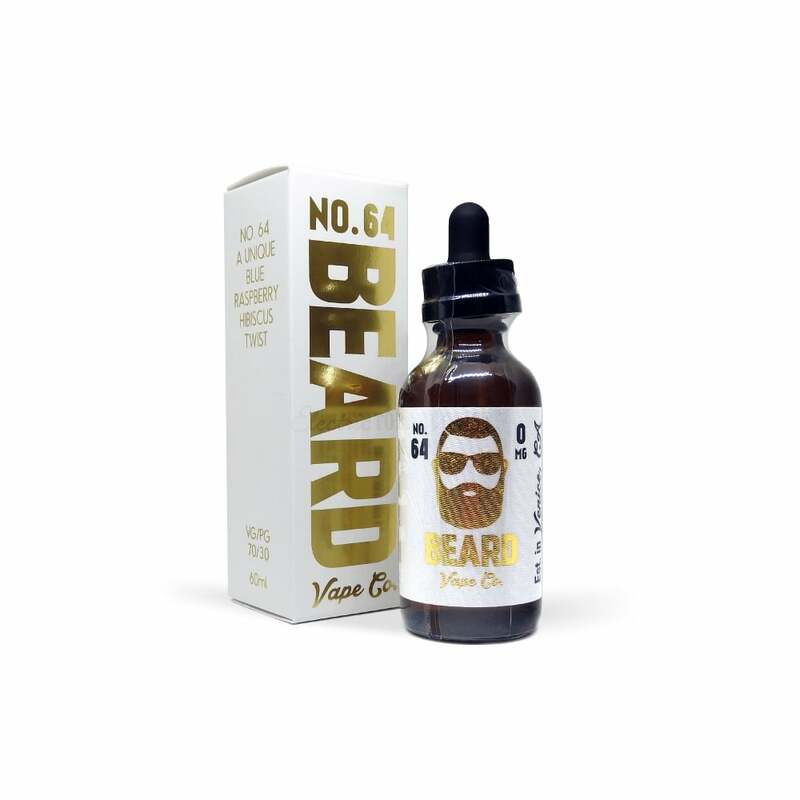 64 e-liquid by Beard Vape Co.
A fairground crowd pleaser, the No. 64 is a candy floss inspired vape juice blend from Beard Vape with added creaminess and delectable hibiscus notes for that luxury touch, bathing your tastebuds in a silky blanket of light sugary greatness and then covered in hibiscus flower petals before blooming into ginormous, big, bouncy vapor clouds on exhale. Just realized they definitely said creamy in the description, my mistake. They nailed it then, lol. Not my flavor still, but they weren’t wrong! I think there’s an unmentioned vanilla flavoring in here. It’s weirdly creamy which wasn’t in the description. It’s still raspberry and hibiscus though, but I didn’t expect that cream taste when I first tried it and I thought it’d be a light herbal flavor like the raspberry hibicus Blue Dot Vapor has (Hibiscutazz, if anyone’s interested. GREAT flavor, btw). If they described this as vanilla, raspberry, and hibiscus it would have been more accurate. My friend who hit this liked the flavor a lot, but that cream note is a bit of a turn off for me. Not A very interesting flavor.